Your business is distinctive. Can you prove it? When meeting with new clients we focus on uncovering how to uniquely communicate value to their customers. Sometimes this is more difficult with businesses that offer a product or service that appears to be indistinguishable from competitors. If your company is facing this challenge, perhaps the following example will help. One of our clients, RM Dalton who specializes in commercial construction, is a case in point. Before we took them through our Brand Matrix process, it seemed RM Dalton might just be a commoditized service with very little to distinguish their brand. What we actually found was completely different. 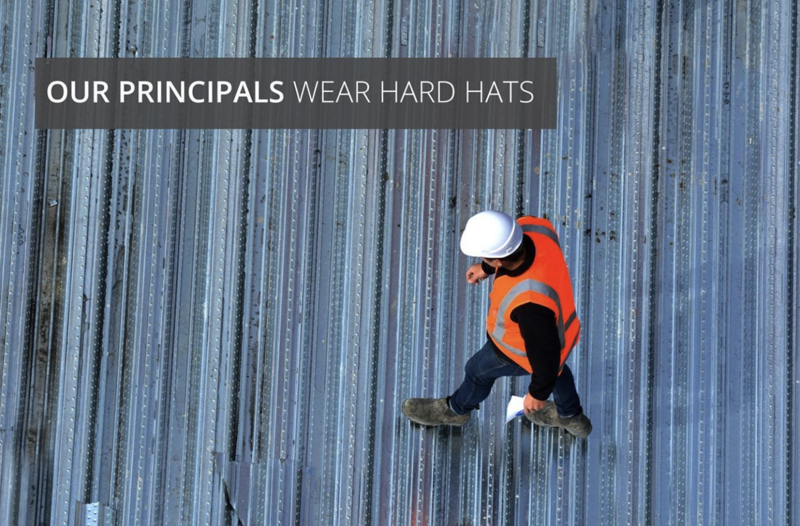 Unlike their competitors, RM Dalton’s principals personally manage projects from start to finish. No middle management allowed! This business model has a dramatic effect on the results. For example, in their 25 years of existence they have never lost a client, never been sued and never had a lien placed on one of their projects. Suffice it to say that RM Dalton distinctives were not being communicated through their marketing materials. Our response was to position the brand in contrast to the status quo. The text and image in this brand positioning show RM Dalton as on-the-job experts who take each construction project personally, and so seriously that they are willing to get their hands dirty as they see a project to completion. Once we had a brand promise that emotionally engaged their prospects, we created a new website to communicate it. See it here.